After a very relaxing weekend up north in Freeport and Portland, Maine, I was ready to jump back into things at BSC on Monday morning. But before I get into that I just want to make a brief mention of a farm that was a major highlight of my trip. 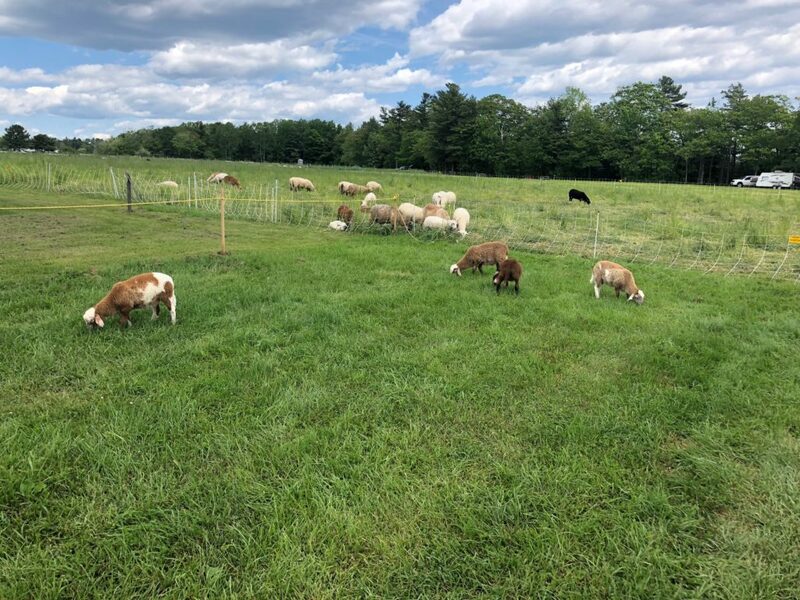 Wolfe’s Neck Center for Agriculture and the Environment is an educational nonprofit and demonstration farm located on 600 acres abutting Casco Bay. This was a treat for me to witness not only their three miles of winding trails but also some of their work building soil organic matter through regenerative grazing and farming techniques. I definitely recommend a visit if you are in the area at some point this summer! I am already on my way to convincing the staff at BSC to make the trip. Now back to the exciting things going on around the Boston area. This week once again proved to be an adventure, as I was able to participate in two “ride alongs” with the crew to provide assistance to drivers and to learn about how we service commercial accounts. On Monday morning I was asked to join Emma on a rescue mission to assist a stranded driver in Jamaica Plain. I readily hopped into Emma’s car as we made our way over to the the rental van location. From there we took our rental van and fought midday traffic from Malden, through Everett, past the quickly rising Encore casino, and into JP where we were able to make the switch and figure out the van issues. With Emma’s skillful driving we made it back to BSC all before noon. This was a great experience seeing Emma’s leadership and quick thinking skills to fix a problem and keep things running smoothly. From there I did some work around the office, and had a chat with Eddie about the vermicomposting set up in the warehouse. For those who do not know, vermicomposting is one of many forms of composting that involves the use of a hungry invertebrate to speed the process along, Other creatures often utilized in composting include black soldier fly larvae and mealworms (the larvae of the darkling beetle). I will continue to work on this ongoing project and update back in future posts in more detail about our operation. Wednesday was another fun day where I got to participate in a ride along with Owen, one of the many talented and funny drivers here at BSC. We serviced an entirely commercial route, visiting restaurants, businesses, offices and coffee shops. This was a very cool experience for me to see how we serve offices with our cans often set up amongst trash and recycling in shared kitchen spaces. We really do a good job of educating the customer, with informative signage and clear instructions about what to compost. Restaurants are a whole different experience, with toters set up in the back that require emptying. For a driver, every client often represents a unique situation and skill set which makes for a job that is in no way boring. 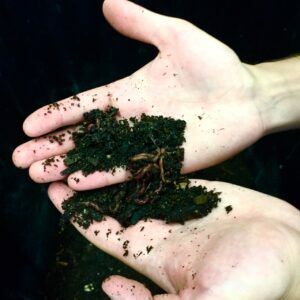 Next week I’ll be serving a residential route so check back in for that and other updates about vermicomposting and other fun stuff, and check in with us on Twitter for more tips and tricks. 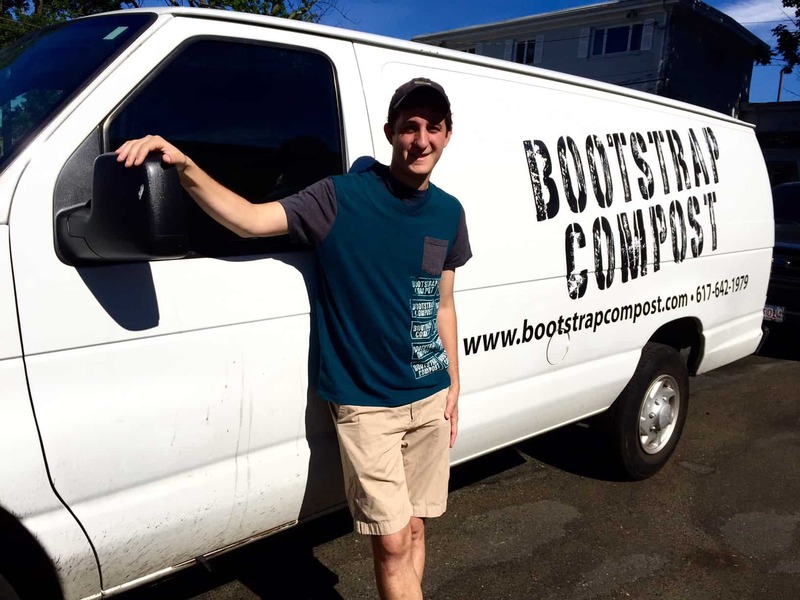 Previous PostINTERNal Dialogue: Chris the Intern joins the Boot gang!